The Mission Covenant Church Holm Glad No. 2 Primary School is located in Kwun Tong Shun On Public Housing Estate. It was opened in September 2015 because of a shortage in school places in the district. The school’s headmistress, Principal Siu, believes in education by doing. The school sponsoring body also places high regards to this, as seen by its secondary school running one of the best applied learning programmes in Hong Kong. The school started off with 2 P.1 and 1 P.6 classes of 60+ students and 6 teachers. Currently, it has 160+ students of all years except Primary 3. and about 20 teachers. EDiversity is a charity formed by a group of parents and individuals who are concerned with the development of Hong Kong education. They feel that there is a lack of choice in local education which overemphasizes on academic development, and offers little time and space for nurturing the different potentials of children. This also stresses out our students, teachers and parents, which is not beneficial individually and collectively as a society. They want to spark rethinking about education in the community, in particular among parents and teachers. CreativeKids is established with a vision To transform the world through creativity in children and belief that Art education is an integral part of education. It is an effective medium for developing creative thinking and skills essential for leading productive lives in the ever-changing world. CreativeKids have established itself as the prime art and design educator in Hong Kong since 1991. It is continuing to expand to fulfill its mission of providing every child with quality art and design education. Greenfield Educational Foundation was founded in 1992. Their aim is to help children build good foundations of Chinese and English languages and ability to think creatively and independently. Playright Children's Play Association (Playright) was founded in 1987 as a non-profit making organization by Anne Marden, BBS JP., who is now Playright’s Honorary President and a member of its Executive Committee. This initiative reflected her passionate belief in the importance and power of play for all children and it called attention to the pressing need to provide adequate inclusive play resources throughout the community. The Education Committee of the Finnish Chamber of Commerce in Hong Kong was newly launched in Feb 2015. As a prominent education leader, Finnish education concepts should be exported. FinnCham’s newly proposed education committee seeks to take advantage of Asia’s market demand potential in the education sector through promoting such industries as Finnish gaming education and other ICT products. This area is also one of Team Finland’s strategic focus areas for 2015. Founded by a group of committed young leaders in 2013, Teach4HK (“TFHK”) is a nonprofit organization with a mission to enlist outstanding university students with diversified talents to serve in schools with underprivileged students through a one-year teaching fellowship. They partner with businesses and institutions to provide leadership and career opportunities to nurture their fellows to become leaders with empathy, who will thrive in various fields and continue to advocate for education post fellowship. ​Professor Cheng was Dean of Education, Pro-Vice- Chancellor and Senior Advisor to the Vice-Chancellor of the University of Hong Kong. Trained as a mathematician, he was a schoolteacher and principal before pursuing his doctoral studies at the London Institute of Education. He taught at the Harvard Graduate School of Education as Visiting Professor (1996-2006). 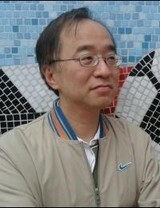 His research projects were initially about rural education in China, but have moved into reforms in various systems. His current focus is on fundamental changes in society and their challenges to education, and therefore the centrality of learning as the core business of education. He has been a consultant with the World Bank, UNESCO, UNICEF and UNDP. 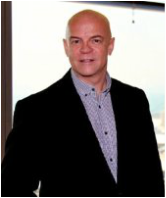 Stuart Patton has spent the last 16 years living and working in Asia, he is a big picture strategist. He is the Chairman of the FinnCham education committee in Hong Kong, he is also co-founder of Pollkuni, a Helsinki, and Hong Kong based company bringing the latest Finnish education solutions to Asia. Professor Chiu’s research interests involve the sociological study of Hong Kong from a comparative and historical perspective. His current projects include topics such as education, social stratification and inequality, social movement, cultural industries, youth and traditional Chinese medicine. Many of these projects have public policy implications and he is also an active contributor to public discussions of policy issues through the news media. 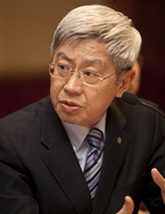 Since 2009, he has been the Chair of the Curriculum Development Council-HKEAA One Committee on Liberal Studies, Education and Manpower Bureau. His current research on educational issues included the academic and career transition of student after secondary education, education at the sub-degree level, and the relationship between family socio-economic background and student performance in Liberal Studies. Dr. Doris Cheng has been serving early childhood teacher education for more than 20 years. As the former Director of Centre for Childhood Research and Innovation, HKIED, Doris’s research interest is on the learning and teaching of young children, especially on the enactment of ‘learning through play’. She has published extensively in international referee journals and book chapters in the area of play and learning. Doris was awarded a Public Policy Research funding (2008-2010) by the Hong Kong Government Central Policy Unit to work on the quality of implementing “play” in the Hong Kong Early Childhood Education context. She commits herself to international discourse on enhancing the quality of “play-based pedagogy” and has recently been invited by LEGO Foundation to be the core team member in the Global Research &amp; Innovation Network in 2015. Doris is active in dialoguing with international scholars to promote quality learning environment for children. She has been working with the University of Cambridge and acts as the consultant of a Play, Learning and Narrative Writing project in the University since 2013. Her more recent work includes co-organizing an international conference on quality childhood education with the University of Cambridge, U.K.) in June 2015.